It’s been over a year since I started writing reviews on Zomato. I have always been a big foodie. Any place new in town, I would be one of the first ones to try it out. I love writing, since childhood I have always had diaries where I would write down my thoughts. That’s when I had the idea of writing reviews on restaurants that I visit, combining the love of eating and writing. I liked the simple and easy format of Zomato where the users can rate and review restaurants. That’s when I started my food journey on Zomato. Zomato is one of the world’s largest online and Mobile restaurant search services. It includes restaurant information such as menus, photos and reviews. In addition to search and discovery, Zomato has expanded its offering to include in-app online ordering and table reservations. Zomato was founded in 2008 in Delhi, India. Deepinder Goyal is the founder of Zomato. Zomato is used by over 90 million foodies across 22 countries by providing in-depth information for over 1.4 million restaurants. 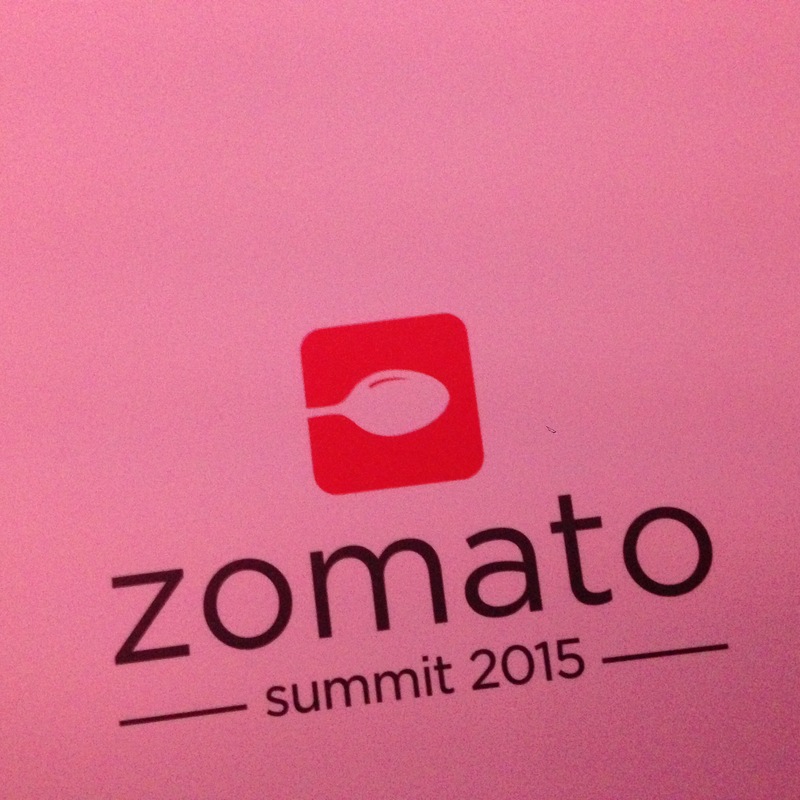 Zomato UAE Summit & User’s Choice Awards was held in Dubai on October 6th 2015 at JW Marriott Marquis. The summit started in the afternoon. It started out with an opening address from the regional director of the Middle East & Africa Mr.Heino Gehle. 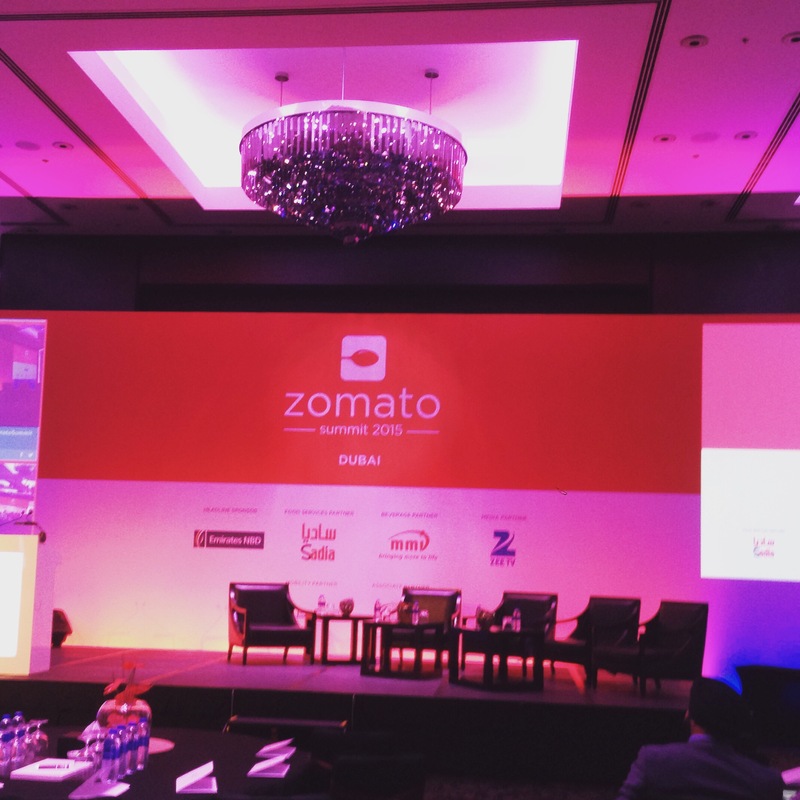 He spoke about Zomato’s new plans and ventures. After that Andrew Burgess of TINT spoke about the role social media plays in marketing. After that was the panel discussion about perfecting the guest experience. It was followed by the co-founder of Zomato Mr. Pankaj Chaddah’s speech. Finally it was the time for much awaited Zomato User’s choice awards and dinner. It was an amazing event and it was great for networking. It was nice meeting the other bloggers. If it is a Zomato event the food has to be top notch. There was a wide range of sandwiches, pastries,bakery products and beverages for tea break. Dinner was a grand affair. It was a huge buffet consisting of 5-6 global cuisines. I am glad that I was able to attend the summit.